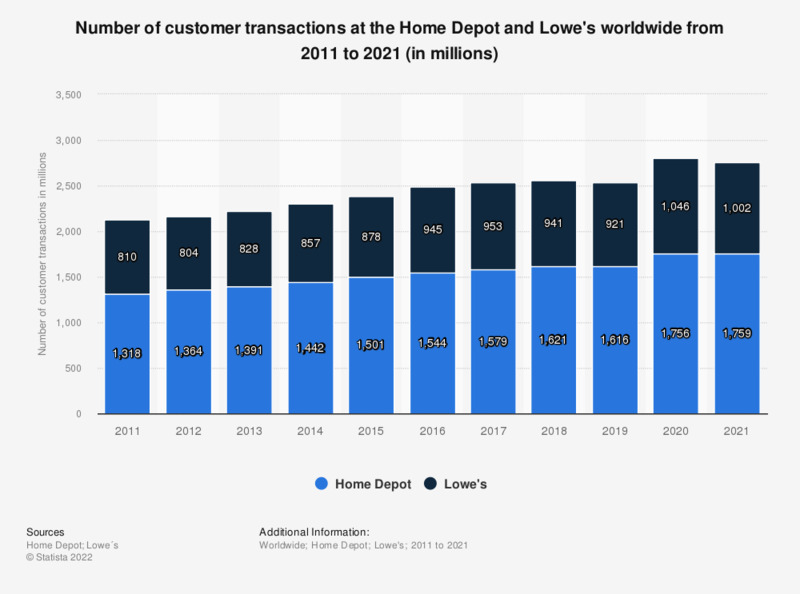 This statistic depicts the number of customer transactions at the Home Depot and Lowe's worldwide from 2011 to 2018. In 2018, the Home Depot carried out 1.62 billion customer transactions worldwide. * The Home Depot data can be found on page 21 of the Home Depot 10K Report 2017. The Lowe's data can be found on page 24 of the Lowe's 10K Report 2017. Is the layout and decoration of your home a source of pleasure for you?